I love Pune. For everything it was and everything it’s becoming. I almost feel motherly towards this city now that I’m watching it grow into something exciting and wondrous. And I’m so so proud.Did I just say “motherly”? Clearly I’m ageing. But that story is for another day. I’ve been waiting for this Sunday for a while. I’ve always been a fan of markets especially after I picked up my camera. They not only leave you feeling healthy and hopeful but make for great photographs too! 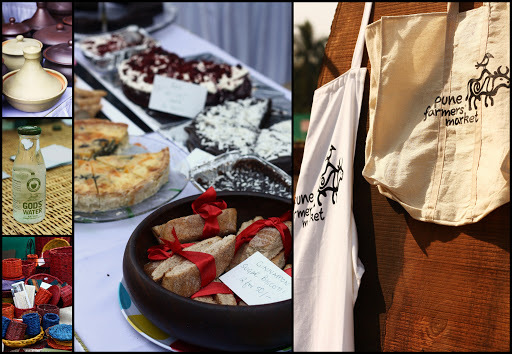 This market was plentiful – great wine, fresh produce from neighboring organic, pesticide free farms, cold cuts, organic honey and lots of cake and quiches! 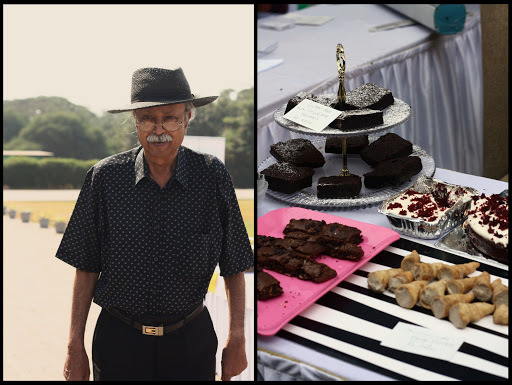 Women in pretty dresses, bright Sunday sun and my favorite co foodie for company – Monday, bring it on! 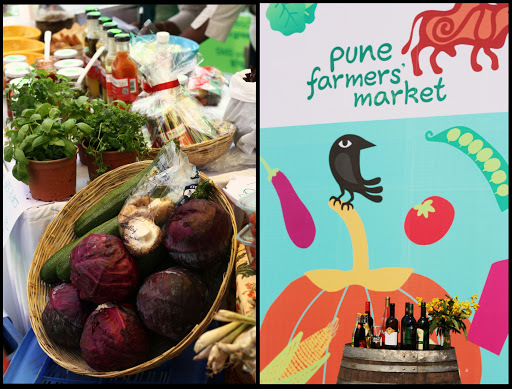 Fellow Foodglomps – Pune’s first ever Farmers’ Market! Fresh produce ( Green Tokri) and the wines at display. 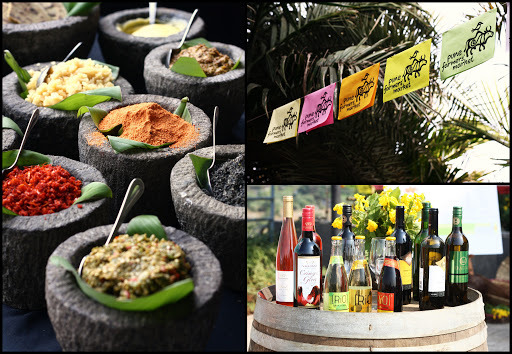 Maharashtrian Chutneys and well, more wine! Cinnamon Biscottis, chilled coconut water and other products on sale. Thanks So Much Adhishree! Loved ur blog! Adhishree, you have encapsulated what we set out to achieve. Thank you so much! you have taken some fantastic photographs which capture the day.! Hi Melanie! Thank you so much! Of course you may share it – I'd be thrilled ! Food is good, as are blogs. Photo's are also quite nice. Pleasure meeting you the other day in Bangalore, Adhishree. Great photos. Particularly liked the opening, red cabbage one. Thank you so much for remembering to stop by! Good idea. If you need a place to stay in Palakkad, my mum will be delighted I know. Hey… great photos. I'm from Mumbai but now live in London and I look forward to visiting Pune soon as my parents have just moved there. BTW, that picture is my dad!!! Love the pic though and the comment!